Two passengers have been charged after a taxi driver was allegedly threatened by a pair who referenced the New Zealand mosque atrocity, police said. 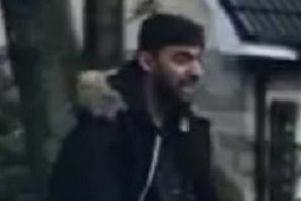 Sean Allen, 33, and Natalie Rudman, 34, are charged with a racially aggravated public order offence after the incident in Rochdale, Greater Manchester Police (GMP) said. Officers attended the scene in Queensway shortly before 12.20am on Sunday in response to "a report that passengers had referenced the New Zealand terrorist attacks while abusing and threatening a taxi driver", it added. Allen, from Collyhurst, and Rudman, from Heywood, were bailed to appear at Manchester Magistrates' Court on Tuesday April 9. Separately, a 38-year-old woman from Rochdale was arrested after posting comments online about the mass shootings, which left 50 people dead. It comes after a 24-year-old man from Oldham was arrested on Saturday after posting comments on social media supporting the killings. The massacre happened during midday prayers at two mosques in Christchurch on Friday.